Sen. Dean Mortimer wants his fellow budget-writers to at least talk about replenishing Idaho’s reserve account for K-12. And on Tuesday afternoon, the Senate Education Committee agreed with a non-binding bill in that spirit. Senate Bill 1041 would require the Joint Finance-Appropriations Committee to “consider” replacing money withdrawn from the Public Education Stabilization Fund. PESF is one of the state’s savings accounts — earmarked to cover shortfalls in the K-12 budget. The account was all but drained during the Great Recession. In recent years, the state has made smaller withdrawals to cover unexpected growth. The state closed its 2015-16 budget year with $85.5 million in the K-12 savings account. However, rising enrollment could force another withdrawal in 2016-17, perhaps on the order of $8.5 million. If that drawdown occurs — and Mortimer’s bill passes this year — JFAC would be required to consider making an $8.5 million deposit into PESF in 2018. Mortimer, R-Idaho Falls, has a unique perspective on education spending, as Senate Education chairman and a JFAC member. His bill would not require JFAC to do anything — beyond having a formal discussion about replacing money taken out of savings. “To me, that’s the important thing,” he said. And on Tuesday afternoon, that was good enough for the committee. With the panel’s unanimous vote, SB 1041 heads to the Senate floor for a vote, probably in the next few days. In a vote that could have a relatively small impact on K-12 funding, the House rejected a bill banning electronic “touch-tab” lottery machines. The machines allow high-speed betting. And as such, said bill sponsor Steven Harris, they violate the betting experience voters had in mind when they allowed the state to begin selling scratch lottery tickets. “Let’s slow it down, let’s keep it for entertainment purposes only,” said Harris, R-Meridian. House members were not persuaded, and rejected Harris’ House Bill 28 on a resounding 18-52 vote. Touch tab machines generated $2.4 million last year in lottery dividends, according to the fiscal note on Harris’ bill. More than 60 percent of lottery dividends go toward school building projects and a school bond levy equalization fund — so the touch tabs generate roughly $1.5 million a year for K-12. It will take $24 million to $26 million a year to allow Idaho schools to keep classroom computers current — up from the current budget of $18 million. That’s the assessment of Will Goodman of the Idaho Education Technology Association, a group that represents school technology directors and administrators. The state is facing something of a two-edged sword, said Goodman, the Mountain Home School District’s technology director. On the one hand, the price of devices is stable. On the other hand, more students need computers, tablets or Chromebooks — especially if the state wants to incorporate technology into more classrooms. The technology budget appears poised for an increase. Gov. Butch Otter has proposed a $28 million technology line item for 2017-18; state superintendent Sherri Ybarra has proposed a $26 million line item. The next move belongs to the Legislature’s Joint Finance-Appropriations Committee, which will write up K-12 budgets in the next few weeks. Goodman made the rounds in House and Senate education committees Monday. 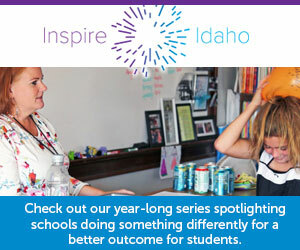 He is among 850 educators in Boise for the IETA’s annual conference, which runs through Wednesday.